The motorhome that started the Mercedes-Benz® Sprinter revolution just keeps getting better. From the powerful and economical turbo-diesel engine to the elegantly appointed interior, the Winnebago® View® is the ultimate in efficient, luxurious RV travel for couples and families. 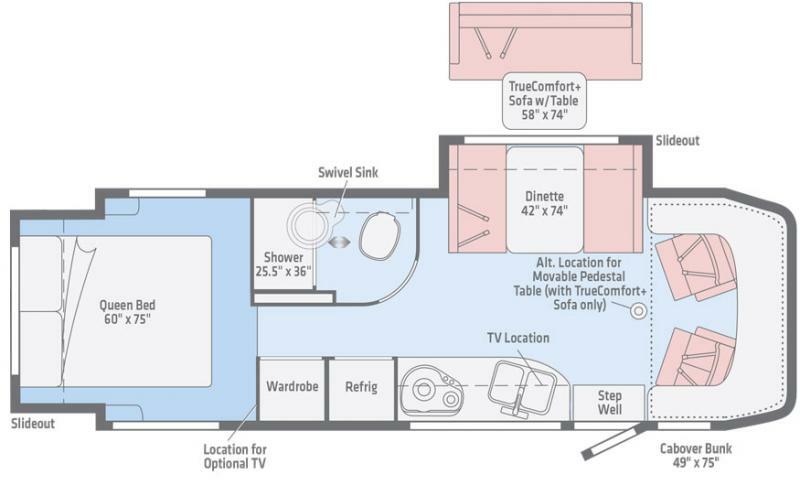 The View’s four slideout-equipped floorplans offer a variety of sleeping and living-space choices. All feature swivel cab seats for added seating flexibility in the lounge, a powered patio awning, and an available cabover bunk for added sleeping capacity. For those seeking the ultimate Sprinter-based Class C motorhome, the View has never looked better.